DOCTOR WHO WHAT WOULD THE DOCTOR DO? Due to the limitations of showing photos on the Web, the t-shirt lettering looks fuzzier here than it actually is. On the real t-shirts, all lettering is sharp and crisp. 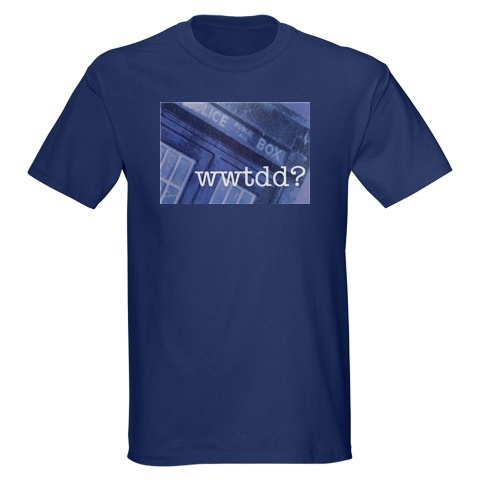 Text: "WWTDD?". Sizes: S-3XL. Available in a range of colours from $19.87. Click here to view/order.